I've been up to loads of other stuff this month so we've not made much progress in the lobby, just tinkering round the edges. 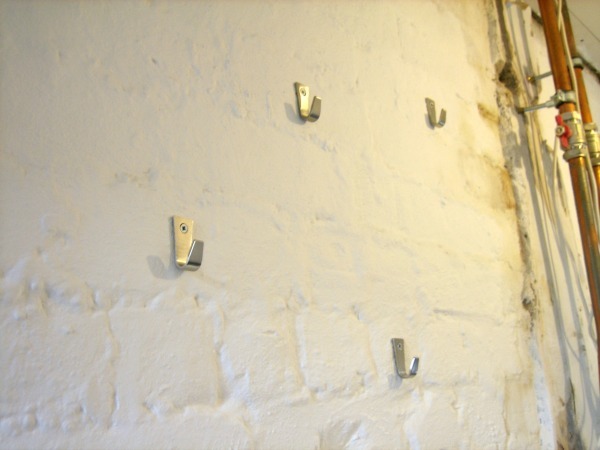 I've put up hooks, loads of hooks, more hooks than you could shake a... yeah, OK, 12 hooks ... which is 12 more places to hang a coat than we had last month. Woot! We dug out an old picture frame which we bought 14 years ago, for our first flat.... awwww! 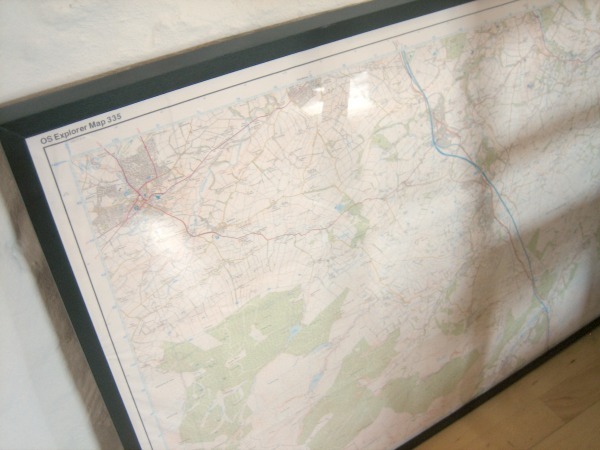 We spray painted it matt black and I mounted an Ordnance Survey Explorer map in it. Who doesn't love a good OS map? We like to walk lots and live in a good location for it, I thought this would be a cute addition to a hallway, though I can't tell you how wrong it felt taking scissors to an OS map. I still need to decide where it is going and drill into a stone to mount it. I absolutely love how it has turned out, reminds me of a walkers pub somewhere in the highlands. Its growing on me and certainly brightens up the room. 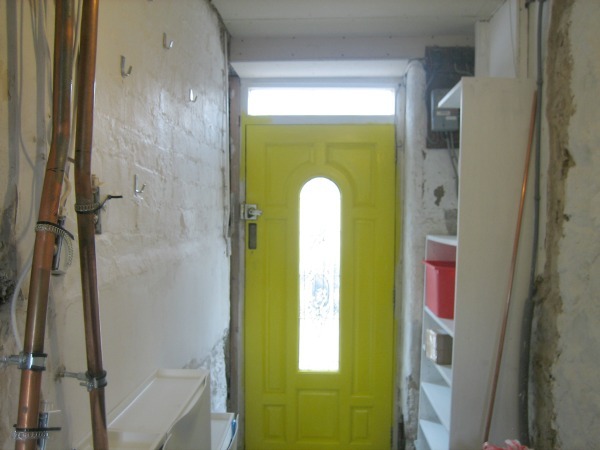 *Painting the INSIDE of our scabby front door led me to filling, sanding and painting the OUTSIDE of our scabby front door. Which led to a trip to Homebase, £50 on new paint and a weekend painting the front of the house. Which explains why I haven't made much progress in the hall. Sorry, no photos of the front of our house, less we get mobbed by unruly blog fans demanding autographs.